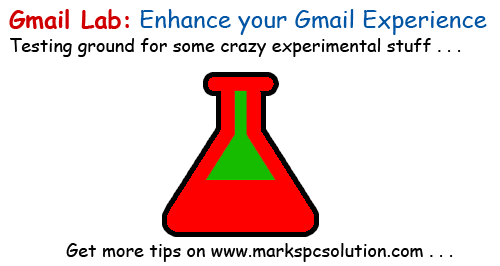 Gmail Labs: Enhance your Gmail Experience! Most of the people prefer Gmail as their email service. But not more than 10% of them are familiar with Gmail Labs. Maybe you're thinking what are labs? 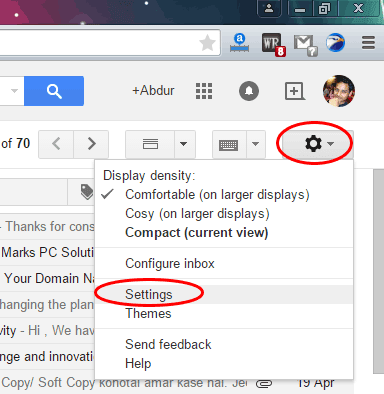 Gmail Labs are some experimental features which you can add in your Gmail. Look at the red part of the link. Labs=0 means all the labs are disabled. If you wanna back to your normal settings, simply remove labs=0 from this link. Then reload the page. Hit on the Gear icon (Settings icon) from the right > Choose Settings. Now you will get all the Settings Menu. Choose Labs. Here you will get the list of Enabled and Available Labs. You can Enable/ Disable any lab from this page. If you make any change, the Save Changes button will be available at the bottom. Enabled Labs - Lab features which are already enabled. Available Labs - Which are not in use but available for use. Undo Send - Such a unique feature should be used by every Gmail user. If you enable this feature, you can cancel a sending message within 30 seconds after hitting send button. Suppose you sent a message to the wrong person, or the wrong message, or an incomplete message, you can cancel it within 30 seconds. Unread Message Icon - Enabling this feature will show the number of unread message in your browser tab along with Gmail icon. Note: Some browsers may not support this feature. Quote Selected Text - This one is very handy when you're replying to a message. Suppose you wanna quote a text of the message which you're replying to. Simply use your mouse to select the text and hit on the reply button. The selected text will be quoted to your message. Authentication Icon for Verified Senders - It's about your security! You may receive some messages which are about your online accounts. And some criminals may try to contact you instead of the original sender. If this feature is enabled, you will see a verification icon left to the sender if that sender is verified by Gmail. Such as - eBay, PayPal, Google etc. Auto Advance - Automatically shows the next message when you delete a conversation. Right Side Chat - Moves your chat window to the right side. 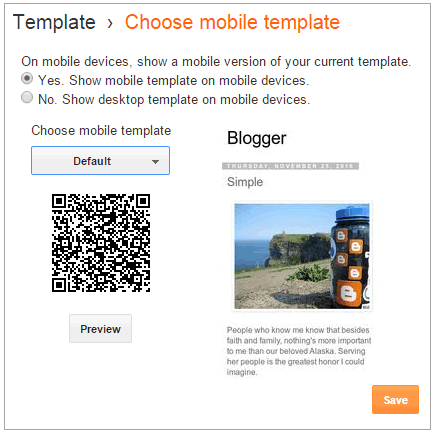 Currently, Gmail Labs offers 20 lab features. But not more than 7/8 of them are useful. But you can give a try and share your opinions with us. Your views will be appreciated . . .
Superfighter - Free Flash Action Game!! Hello Guys! Today I've come with a fighting game. Maybe you think of WWE or something like that. 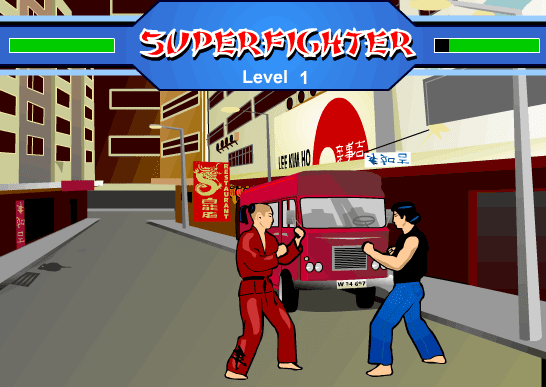 But I'm gonna share a simple flash game with you - Superfighter. It's a very tiny game which was released more than a decade ago. Hope you will enjoy playing the game. As a little flash game, it doesn't need any special requirement. Works with any running version of Windows OS including Windows 98. Download & Play . . .
Download Superfighter from this link. Extract the file and double click on Superfighter.exe to run the game. Hit on the Go on button. Hit on the New Game button to start the game. To kick, press left arrow. To jump and kick, press up arrow. To punch, press down arrow. To back kick, press right arrow. To move forward, press A. To move backward, press S.
You will be in the right side and opponent will be in the left side. The health bar of both players will be shown there. There are total 5 levels. After completing each level, you will be allowed to play the next level. Remember, there is no option to save or pause the game. Download Any Video Converter Ultimate with Serial !! 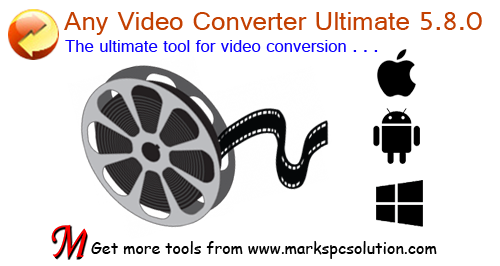 Any Video Converter Ultimate (AVC Ultimate) is a reliable software for working with your media files. With this tool, you can convert video files, capture video from screen or webpage with audio, download videos from YouTube, burn video files to disk . . .
No special system requirement. Works with any running version of Windows OS. Record video from website or computer screen with sound! Download Any Video Converter from this link. Download the Serial Key from here. After completing the download, run avc-ultimate.exe from your PC. Choose your language > Accept the agreement > Change installation folder if necessary > Unmark Customer Experience option > Install > Finish. The software will run immediately! Note: During the installation, you may be asked to choose Download the Software anyway. You should proceed. When you're required to enter the License code, simply use the username and serial key you've downloaded from step 2. Tips and Tricks . . .
Personalize your settings using the gear icon located at the top right corner. For video conversion, go to Convert Video tab > Add Video > Choose Video > Choose an Output Profile from the right > Adjust the settings from the right sidebar if necessary > Hit on the Convert Now button. To spit a video, again go to Convert Video > Add Video > Choose Video > Hit on the Scissor icon > Now the video will be playing > You've to set the start and end point [ ] and then press OK > Now select the clipped portion of the video > Hit on the Convert this item icon > Get the file from destination folder. To record any video from webpage/ from your computer screen, go to Record Video tab > Set your destination folder > Hit on the Record Now button > Make sure the video is playing > Press Ctrl + F7 to start recording > Again press Ctrl + F7 to stop > Get the recorded file from destination folder. The funny thing is that, it will record the video with sound even if you have no speaker plugged in! 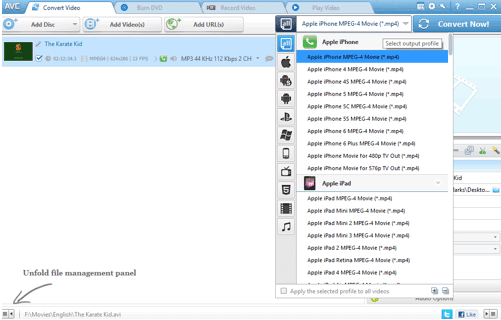 AVC supports more than 200 video sharing sites. To download a video, go to Convert Video tab > Hit on the Add URL(s) button > Copy the link from that site and paste it here > Hit on the Start Download button. Hope everyone will enjoy this nice tool. If you need any help, please knock me . . .
No More New Windows in the Future !! Believe it or not, you're gonna face this unbelievable fact. With the reference of Jerry Nixon, a Microsoft employee, BBC has published a report on May 08, 2015 with the heading - Microsoft to stop producing Windows versions. Most of the Windows lovers around the world were shocked after hearing such a news. Started from November 20, 1985, Microsoft has released more than 20 versions of Windows. But how many could you name if you're asked to make a list? I guess not more than 6 or 7. Many users haven't even touch Windows Vista due to its security bugs and heavy system requirements. After XP, Windows 7 was the most successful one. Windows 8 and 8.1 are still struggling in the market. Personally, I like Windows 8 most. But there are some major changes in Windows 8 interface which make the users uncomfortable. Microsoft has upgraded Windows 8 to 8.1 to resolve some issues. But both of them are almost same. When everyone was expecting Windows 9 to be introduced, Microsoft released Windows 10 Technical Preview. IT Experts are talking a lot about this news. Though Microsoft hasn't declared anything officially, but it is planning to do so. Microsoft is planning to deliver Windows as a service. And time to time, it will bring innovations and updates for the users. People are now getting familiar with Windows 8 or 8.1 interface. At this point, again Windows 10 has come with old Start Menu. It has also introduced a mini start screen which looks really odd. Though you can get your Windows 8 Start Screen back. I don't like some default settings of Windows 10. I've already used the Technical Preview version and now waiting for the Final Version. To be honest, Windows 10 Technical Preview has disappointed me! I think, Windows 8 is smarter than Windows 10. Probably, there will be no naming system like XP, Vista, 7, 8 or 10. Users will simply run an operating system - Windows. Earlier, Microsoft used to release new version of Windows at a regular interval. To develop a new version, it had to spend a huge amount of money. And the company spent a huge amount of money for the marketing purpose. 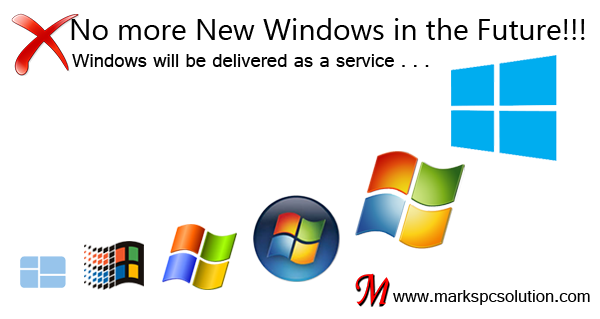 Besides, Windows Support has to maintain different support system for different versions of Windows. If there is only one OS, it will be easier for them to concentrate and provide better service to the users. Microsoft is now working to finalize the Windows 10. Hopefully, we're getting this last version of Windows at the end of this year . 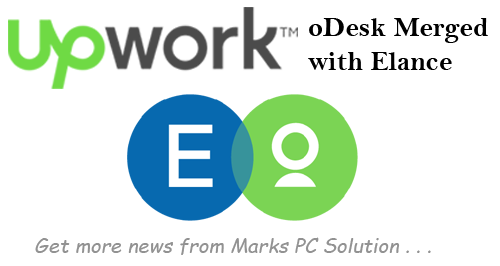 . .
oDesk & Elance Merged as Upwork! Have you tried to sign in to your oDesk account recently? If you don't then try now. I think you can't visit oDesk website anymore! It will be redirected to a new site - Upwork. Just few days ago, the largest online marketplace oDesk has merged with Elance. At first I was really surprized! Why did they change their name? oDesk has already been a popular platform for the freelancers across the world. And they didn't mention anything about their merger with Elance. Later I got the details from the newspapers. Last year, oDesk merged with Elance. And the name has been changed recently. But if you visit Upwork, you may not find much change in their site. 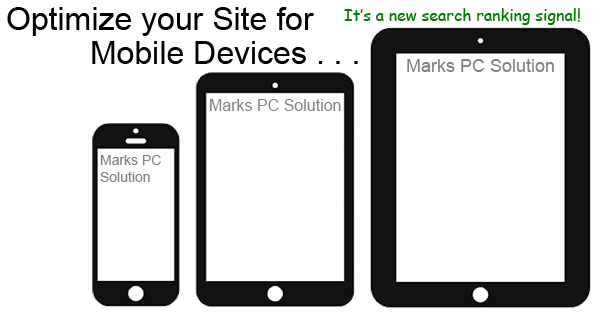 Most of the options are very similar to oDesk. Your username, password, email, profile information and any other information will be remain same. Upwork got a new Chief Executive Officer. Stephane Kasriel is the new CEO of the company. Earlier he worked as the head of product development. As mentioned earlier, still there is no significant change that may catch your attention. The changes will be made gradually. 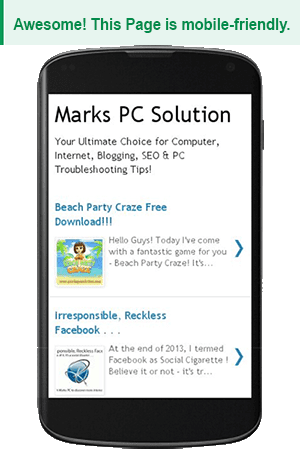 What is Upwork doing now is just making their site lighter and faster, developing handy apps for mobile platforms, displaying user profile in a friendly manner etc. To know more, please visit Upwork FAQ . . .